Total Solar, a 100% owned Total subsidiary dedicated to solar activities, has launched construction of its second solar power plant in Japan. The 25-megawatt-peak photovoltaic power plant in Miyako, in Iwate province, is expected to start up in 2018 and will provide clean and reliable electricity to over 8,000 households. “The solar market offers significant growth potential. 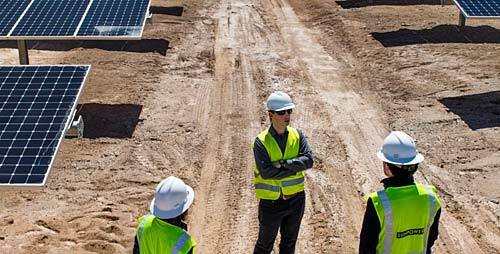 Following the start-up of the Nanao solar plant in March this year, the Miyako Solar Park will further contribute to the diversification of Japan’s energy mix,” says Julien Pouget, Senior Vice-President Renewables at Total. The plant is designed to fully meet Japan’s stringent earthquake-resistant building standards. The facility will be equipped with over 76,000 high-efficiency SunPower solar panels, providing maximum performance. The plant will be connected to the electricity distribution grid to supply energy through the regional utility company. Total, the majority shareholder of SunPower since 2011, is active across the entire photovoltaic value chain, from manufacturing cells to designing large-scale turnkey solar power plants and to installing residential or commercial rooftop systems. More than 7GW of solar capacity has already been deployed by Total, SunPower and their partners since 2011. Total Solar is a 100% owned subsidiary of the Total Group, which is spearheading Total’s own solar activities. Its objective is to accelerate the Group’s development in the production and sale of solar electricity in Europe and worldwide, by developing solar power plants and distributed photovoltaic systems at the sites of industrial or commercial customers.